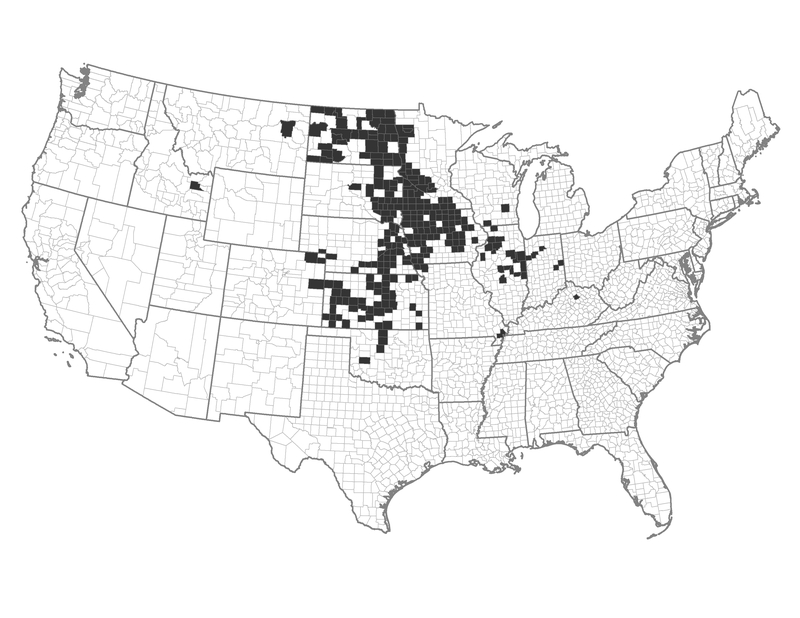 These counties occur mostly in the central plains of the United States. They are characterized by converted grasslands that are moderately roaded with a high presence of agriculture in rural areas. There is a low amount of Wildland Urban Interface (WUI) and a lower occurrence of fire in these counties. Example of a Typical County — Boone County, Iowa: Rural Boone County lies northwest of Des Moines. Most of the land area is devoted to growing soybeans and corn.